Back in the 1970’s, until the mid-1980’s asbestos was a widely used material in the construction and renovation of houses in Australia. Given the prevalence of its use it is more than likely that it, if your property was constructed or renovated until 1987, may be present. Experts state that ‘disturbing findings show that, despite repeated warnings, Australians are still not protecting themselves from asbestos-related diseases”. This study of around 860 individuals who had recently completed a DIY renovation, found that 61% stated that they had been exposed. Alarmingly, more than 20% stated that their children had been exposed. Don’t become a statistic! The removal of asbestos from a property is covered by strict government regulation and code of practice that identifies the removal requirements and specifications for asbestos removal. If you are unaware of this code then that is a sure sign that you shouldn’t think about removing it yourself! It is important that you understand the need to engage a qualified and licensed professional, such as Asbestos Eliminator to look after the removal process for you. A licensed professional will have the necessary qualifications, training and insurance to ensure you are protected. In addition to the regulatory requirements a licensed professional will have the necessary tools and experience to remove it safely, effectively and efficiently. The process in removing asbestos is not as simple as chucking it into a rubbish tip. Once identified a professional will utilise high level safety equipment, carefully remove the asbestos and then action safe disposal of it. Asbestos Eliminator has the necessary qualifications, expertise and experience in managing the entire asbestos removal process. Our integrated experience ensures we can identify, remove and dispose of the asbestos safely and effectively. 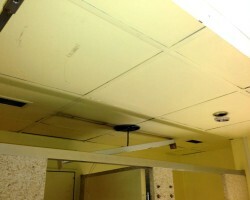 This entry was posted in Uncategorized and tagged asbestos, asbestos removal on August 3, 2014 by Joseph Zangara. Are you looking to renovate your existing home or considering purchasing an old home with plans to ‘do it up’? Well, if you are, and if the house was built prior to 1990’s, there is a chance that it may contain some form of asbestos product. Understanding what asbestos is and then how to find it is a huge consideration prior to commencing any form of renovation or construction work. This blog, written by Asbestos Eliminator Managing Director, Jake Zangara, will provide you with some useful knowledge and tips which should assist in understanding and the identifying your potential asbestos risk! These attributes, in addition to the low manufacturing costs made it a cost effective way to solve many material design issues with regard to the housing sector. Understanding why it was a popular product within the manufacturing sector goes someway to explaining why it was so widely used. The health implications associated with asbestos inhalation are massive and largely went unnoticed as they do take a significant period of time to develop. How does asbestos affect my health? These diseases will develop after inhalation or ingestion and cause major health issues and/or death. There are many well documented cases of asbestos related diseases that have played out in the media. One of the most well-known accounts is that of Bernie Banton who suffered and eventually died from mesothelioma. How do I inhale or ingest asbestos? One of the major causes of accidental inhalation or ingestion of asbestos is when the airborne fibres are disturbed either through wear and tear or via standard construction activities such as drilling or sanding, The level of asbestos fibre released into the air is dependent on what binding material binds the asbestos, the general state of it or the type of product that was utilised. All asbestos must be considered dangerous to your health. If you would like Asbestos Eliminator to visit your property to conduct a visual check, free of charge, please call us or complete the contact us form. This entry was posted in Uncategorized on August 2, 2014 by Joseph Zangara. Up until the mid-80’s asbestos was a widely used element in a range of housing construction materials. Chances are that if your house was built or renovated before 1987 that your house will probably have asbestos as a part of its construction. Identification and removal are the first steps in the asbestos elimination process but the final step is just as important as the first two and that is disposing of it safely. The disposal of asbestos is governed by government legislation and each state has its own piece of legislation, for more information about disposing of asbestos in your state visit Asbestos Awareness. 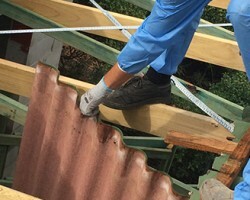 Given the Asbestos Eliminator operates in Queensland it is important that homeowners contemplating an asbestos removal project in Queensland understand the actual process of disposing of asbestos. When disposing of asbestos it is important to understand the danger of disturbing asbestos fibres, as soon as the fibres become airborne they can cause catastrophic health issues to yourself and anyone who is exposed to the airborne fibres. After the asbestos has safely been removed it must be taken to a landfill site that can lawfully receive regulated waste, usually operated by a local council. Asbestos material cannot be disposed of in a domestic garbage bin or in standard garbage bags. The asbestos material must be double wrapped in 0.2mm thick plastic bags or sheeting, sealed with a strong tape and labelled ‘double wrapped’ and then transported safely to the site that can lawfully accept asbestos. The other option is for the waste to be placed into a plastic lined industrial that has been provided by a waste contractor who has a regulated waste transport registration certificate. As you can already see the asbestos disposal process is heavily regulated and there are major financial and legal consequences if the process is not followed correctly. In addition to the above there are different requirements for dealing with certain quantities of asbestos depending on whether you’re a homeowner or a contract (like me). For instance quantities over 250kg are subject to the regulated waste transport laws whilst quantities under 250kg are not. Take the guesswork out of the disposal of your asbestos and use Asbestos Eliminators. We provide a detailed framework outlining our approach to the assessment, identification, removal and disposal of asbestos sheeting and roofing ensuring the safety of your family, your property and the community where the project is being undertaken. Asbestos Eliminators hold a class B Licence and are authorised to remove more than 10 metres of non-friable asbestos or any asbestos contaminated dust or debris, more than enough to deal with your housing project! This entry was posted in Uncategorized on August 1, 2014 by Joseph Zangara. 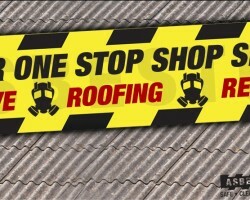 Welcome To Asbestos Eliminator Blog! The Asbestos Eliminator Team is committed to providing our customers with the most relevant information required in selecting the right asbestos removal contractor. Asbestos removal is a very hazardous activity which could present significant risks to you, your family and the greater public if it is not managed correctly. This blog will provide you with key information and hopefully assist you in choosing the right person for your unique asbestos project! Our team of experts have experience in providing a full-service asbestos offering in residential, commercial, industrial and natural resource settings. This entry was posted in Uncategorized on July 29, 2014 by Joseph Zangara.